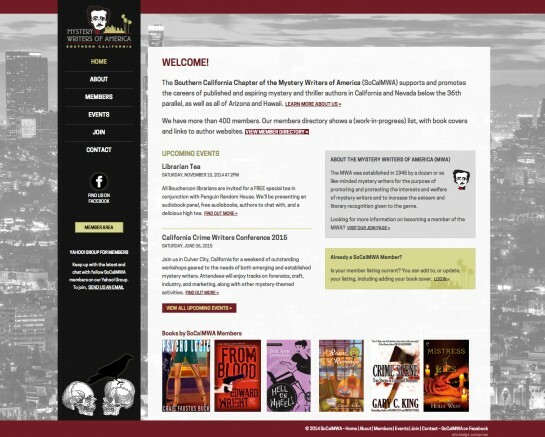 We redesigned and built a new site for the Southern California Chapter of the Mystery Writers of America. The site, built in WordPress, makes it easy for their members to find and register for events, and prominently displays book covers of, and links to, members' websites. We also created a password-protected area with extra content for their members.